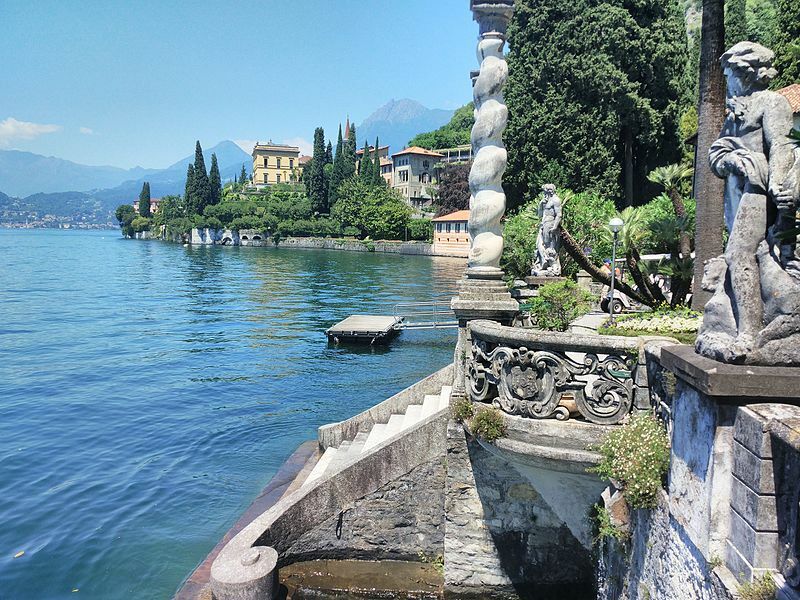 A full day guided tour discovering the ‘pearls’ of Lake Como: walking tours of Bellagio and Varenna, visits to Villa Melzi and Villa Balbianello, a relaxing private cruise, the sampling of olive oil at an original mill plus tastings of local cheese, wine, fish, pasta and traditional sweets. Lake Como is a treasure of nature, culture, wonderful landscapes and mouthwatering local food. The central and western side of the lake is dotted with superb villas and with gardens decorated with marble statues and exotic plants. A tribute to the ancient noble families from the golden years of the Renaissance, Romanticism and Belle Epoque, some of these villas are now private homes to the rich and famous. This full day tour will allow you to discover the ‘pearls’ of the mid lake area and view and visit some of the most famous waterfront villas, all accompanied with the tasting of delicious local products. The tour starts at the Ferry Terminal ticket office in Varenna. First stop is at a fascinating old mill where you will be offered a tasting of the world famous locally produced olive oil accompanied by delicious Valsassina valley cheese, local sliced meat, all of which washed down with wine. The tasting will provide the energy to explore Varenna with its Celtic origins and steep alleys, a 45 minutes walking tour in the company of our professional tour leader. Lunch will be served in a top quality lakefront restaurant where you will be offered typical lake fish starters and pasta (a non-fish menu will also be available). After lunch you shall relax on a 2-hour private motorboat cruise, admiring the spectacular mountains and the stunning villas, once the homes of aristocrats, now the playgrounds for the jet set. You will then stop for a guided tour at the stunning Villa del Balbianello, a real gem not to be missed and shooting location for a number of feature films such as “Star Wars: Episode II Attack of the Clones” and “Casino Royale”. Afterwards, the motorboat will bring you to Bellagio, where you shall be guided through the wonderful Villa Melzi gardens, followed by a stroll around the elegance of Bellagio to discover and taste one of its traditional sweet dishes. The tour will end at approximately 6:00 pm in Bellagio, where you are highly recommended to stop for a romantic happy hour or dinner.